Pet Friendly Security.  Shuttle.  Gated.  Pool.  Fitness Center.  Tanning.  Washer and Dryer.  Furnished. The Quad Townhomes are designed exclusively for Student Style living. It is located just 5 minutes from all three major campuses UCF, Valencia, and Full Sail and is the only community in the area with a private Shuttle to all three campuses. The quad is also Gated. All townhomes at The Quad are four bedroom four bath and come with full size Washer and Dryer, couches, tables, and TV with stand. The bedrooms come with a full size bed with desk and desk chair, dresser, and end table. 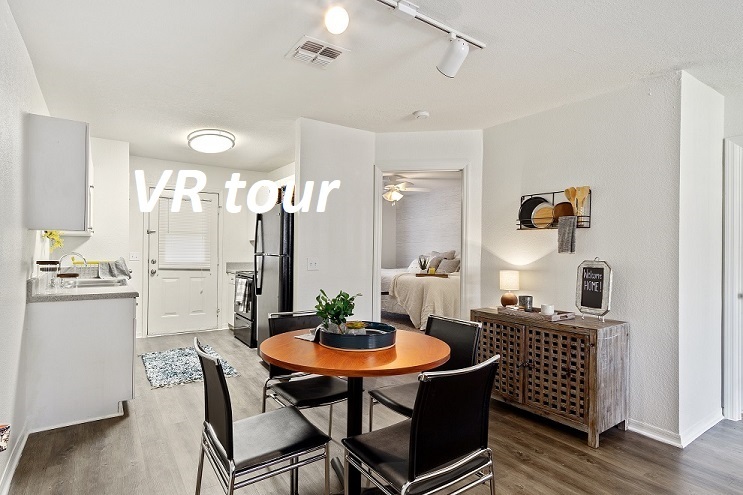 The Quad offers an upgraded option with Wood Vinyl flooring, Black updated appliances, above stove microwave, new lighting fixtures, and new faucets. To make life easy for students The Quad is fully Furnished, there are Individual Leases, roommate matching, and all utilities are included: water, electric, cable, and Internet.